Are you interning in D.C. this summer? 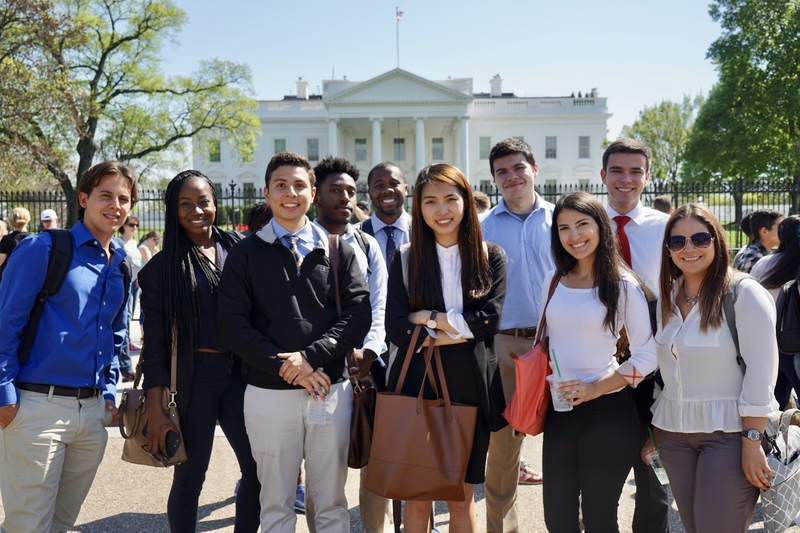 FIU Students visiting the White House during a two-day Career Success Fly-In in April. Summer is right around the corner, which for many FIU students means it’s internship season. In addition to the countless numbers of students who intern in South Florida, many FIU students make the leap to Washington, D.C. to fulfill their professional and personal goals. Since 2013, FIU has seen on average 70 interns per year (around 50 in the summers) make their way to work in government agencies, non-profit organizations, or take part in The Washington Center internship program that places them in sites around the D.C. area. However, these students don’t just come to Washington to work and go home, they come to take advantage of every opportunity afforded to them, and the FIU in Washington, D.C. office makes it their mission to support them. “I appreciated the support and engagement from the FIU in D.C. office. I had never felt so much a part of the FIU family than with all of the amazing staff there,” said Anielka Cortes, former intern at Comunicad in the summer of 2016. In addition to individualized support and networking connections, FIU in D.C. plans a slew of professional development and career exploration programming. Topics include international careers in Washington, working in and with government, and various site visits to high-profile places such as The Pentagon and FOX News’ DC studio. The summer program, though, does come with some challenges. Most notably is figuring out who is coming to D.C. and having them register so that FIU in D.C. can keep in touch and inform them of all that is happening in the short three months. If you or someone you know has already confirmed internship placement in Washington, D.C. this summer, follow this link to the registration form. FIU in D.C. will be hosting its first orientation event June 3 at 440 1st St. NW, Washington, DC 20001. Tags: BeyondPossible2020 × FIU Governmental Relations × FIU in DC × Internships × Office of Engagement × Student Life × Student success × summer internships × The Washington Center × Washington D.C.